A brand new high standard boutique building featuring luxurious 3 and 4 room apartments and a breathtaking penthouse. Each unit features a Succah balcony and high-tier specifications. The building features a beautiful lobby, an elevator and private parking. 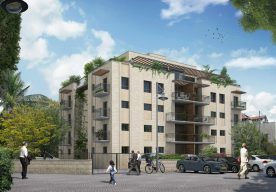 An exclusive residential project located in the very heart of Jerusalem, in pastoral Beit Hakerem. The residents of the project enjoy the best of both worlds: the Jerusalem forest, which provides its surroundings with a green vista, and easy access to the commercial sectors of the neighborhood and the light railway. A prestigious residential project in the heart of the German Colony. Perfectly situated close to Emek Refaim Street, the location of the project allows its residents to live close to the neighborhood's vibrant center, while providing a home that offers pastoral and quiet surroundings. The residence features a luxurious entrance lobby, prestigious flooring and a luxury elevator from the parking floor. For sale in a new boutique building in Bakaa, on 22 Hanoh Albek Street, garden apartments and apartments with balconies, 3, 4 and 5 rooms, built according to the highest standards of construction and design. The building features an elevator, covered parking and storage rooms. 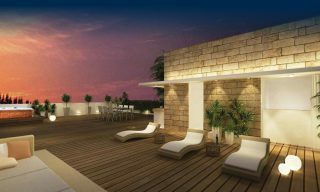 In a boutique building in pastoral Rehavia, available are 3 room apartments with balconies, garden apartments and a penthouse. All built at the highest standard and offer high-end specifications. Walking distance to the Old City, the City Center as well as numerous cultural and commercial centers. In the heart of the German Colony, on Mesila Park, an impressive luxury residential project is currently being built offering 3, 4 and 5 room apartments with private parking and storage. The complex features an indoor swimming pool and a gym. 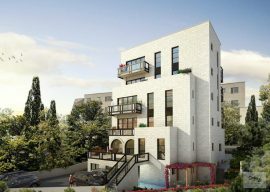 In the German Colony bordering Talbieh, a brand new exclusive residence is currently under construction in proximity to the new Isrotel Hotel and complex as well as other sites of interest including the Jerusalem Theater, the Western Wall, Mamilla and the First Station outdoor mall. Available are three residential units, built at the highest standard: a garden apartment; a 3 bedroom unit with a Succah balcony and a duplex penthouse. There is an option to purchase all three units as a private house. 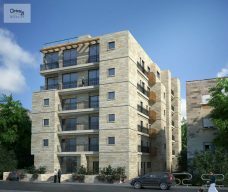 A new "Tama 38" project in classic Arnona, in an excellent location, close to Shai Agnon Synagogue and Beit Shai Agnon. Walking distance to community and commercial centers, shops and cafes. 4 new apartments on two floors have been added to an existing 3-story building. 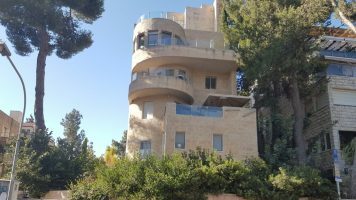 A beautiful and unique Arab-style house situated on a quiet tree-lined street in Old Katamon, a short walk to Jerusalem's bustling center, the Jerusalem Theater, Emek Refaim Street and more. A boutique building on a quiet, well-kept and pastoral street in Bakaa. The building features 8 units, of which two are prestigious penthouses, with meticulous architectural design of the highest standards. 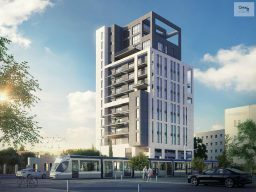 The project is located in proximity to The First Station, a lively center featuring restaurants and coffee shops, and numerous commercial, cultural and entertainment sites Jerusalem has to offer. 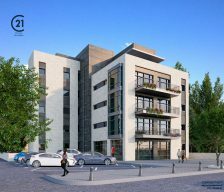 In classic Rehavia, in a new prestigious residential project in a prime location, walking distance to the Old City and Jerusalem's main cultural and commercial sites, available are 3 and 4 room apartments featuring a high standard of renovation and design, top-of-the-line specifications and balconies facing views. Apartment layouts to be chosen by the client. 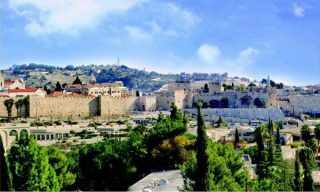 For those who appreciate authentic Jerusalem views, a brand new project in a central Rehavia location, walking distance to the Western Wall, numerous sites and attractions and the city's' main transportation arteries. 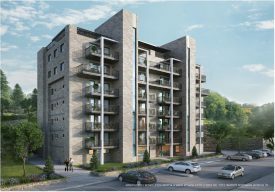 The project offers units boasting high standard specifications, architectural floor plans, top-of-the-lime amenities and exciting, hard-to-miss views of the Knesset and Emek HaMatsleva. In Old Katamon, a new building is currently being built as part of the Urban Renewal Plan (Tama 38). Available is a 2 bedroom apartment of 73 sqm featuring a 12 sqm Succah balcony. Located on the second floor (out of 5 floors). The building will also feature a resident's lobby and an elevator. 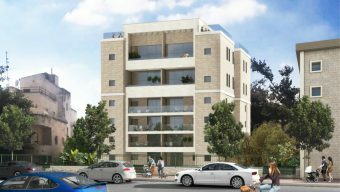 On a sought-after street in the German Colony, close to Emek Refaim Street, a new building features 4 room apartments and a penthouse with high standard specifications and private parking. A prime yet quiet location adjacent to parks and gardens, overlooking green pastoral views. A new, recently built residential project in Bakaa featuring a boutique building of 4 architect renovated apartments. 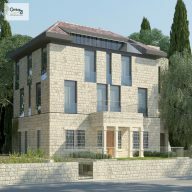 The building is nestled in green pastoral surroundings, minutes away from public gardens and parks, including Mesila Park as well as Emek Refaim Street, Beit Lechem Road, The First Station and more. Each unit includes central air conditioning and radiant heating. The building features an elevator and private parking and storage. 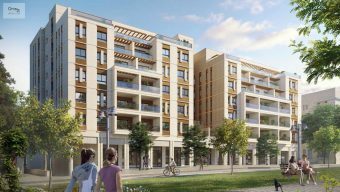 In the quality pastoral neighborhood of Ramat Denya, in a new residential complex, available for sale are penthouse apartments and 5 room apartments. The units are very spacious and feature terraces overlooking breathtaking views. The building features a Shabbat elevator, storage rooms and underground parking. 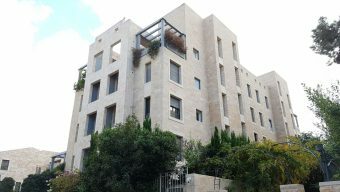 In the heart of Bakaa, on a quiet and pastoral cul-de-sac, minutes from the German Colony and the First Station as well as coffee shops, commercial centers and several Synagogues, available for sale is a new Tama 38 project featuring garden apartments of 3 and 4 rooms; units with balconies and luxurious penthouse apartments with roof terraces and swimming pools. 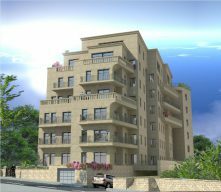 In a new unique luxury project in Talbieh, available are 3, 4 and 5 room apartments as well as duplex apartments, a penthouse and a private villa. All feature the highest standard of construction and quality finishes. This quiet and pastoral project is located within walking distance to the Old City, Emek Refaim Street and more, adjacent to an impressive park, close to Synagogues and entertainment spots. 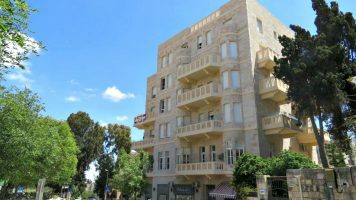 Boutique building in the heart of Talbieh, on privately owned land, walking distance to the Kotel and numerous cultural and entertainment sites. The building features various apartment types, all built and designed in the highest standard available, custom-tailored to the needs of the client. A boutique building in the most prestigious and sought-after location in Talbieh, only 4 units available, built and designed in the highest standard available. Building amenities include a Shabbat elevator, storage rooms and private parking. In the heart of Jerusalem's City Center, a magnificent residential project overlooking the Old City offers 2, 3, 4, and 5 room apartments and a dream penthouse. Conveniently located minutes away from the Old City, Rehavia and Talbieh, the project offers its tenants concierge services, a children's play room, tenant's club, swimming pool, Jacuzzi, large gym, spa, a Mikveh and more. The residence also features Shabbat elevators, storage rooms and covered parking. In the heart of Jersalem's City Center, a luxurious complex featuring an impressive residential tower offering spectacular views. The beautiful, architect-designed tower includes a wide variety of apartments offering an exceptional living experience, impressive specifications and the highest residential standard. Amenities include a luxurious lobby, a health club and security services. The complex also includes an intimate boutique hotel that will provide services to the tower's residents. 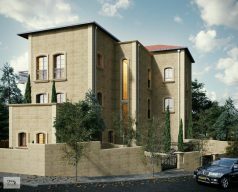 Elegant luxury residence located in the City Center bordering Nachlaot is currently being built. The project is adjacent to the Light Rail Line and offers accessibility to the city's main neighborhoods and sites, all within walking distance to the Old City. An exclusive residential project located on one of Jerusalem's most prestigious streets, conveniently situated within walking distance to the Old City and the City Center. The project's central location offers high accessibility to the city's main entertainment and culture and heritage spots: the Jerusalem Theater, the First Station, lively Emek Refaim Street, the Great Synagogue and more. The new Palace Jerusalem is a unique historical landmark hotel and residence. It preserves the historic beauty of the original hotel and includes all the necessary modernization and upgrades befitting a hotel of the Waldorf Astoria Collection brand. The Palace features a Grand Ballroom, a variety of meeting rooms, three restaurants, a spa, health club, a swimming pool, spacious underground parking and much more. Available are 30 state-of-the-art private luxurious apartments for permanent residence.Available are 30 state-of-the-art private luxurious apartments for permanent residence.